Día de los Ninos is now an ICfL Micro-Grant! El día de los niños/El día de los libros (Children’s Day/Book Day), often known as Día, is a celebration of children, families, and reading that culminates every year on April 30. Celebrated since 1925 throughout Mexico, Día emphasizes the importance of literacy and reading fun for children of all linguistic and cultural backgrounds through bilingual storytimes, family literacy fairs, community events, and other programs that encourage family reading and increased understanding of other cultures. 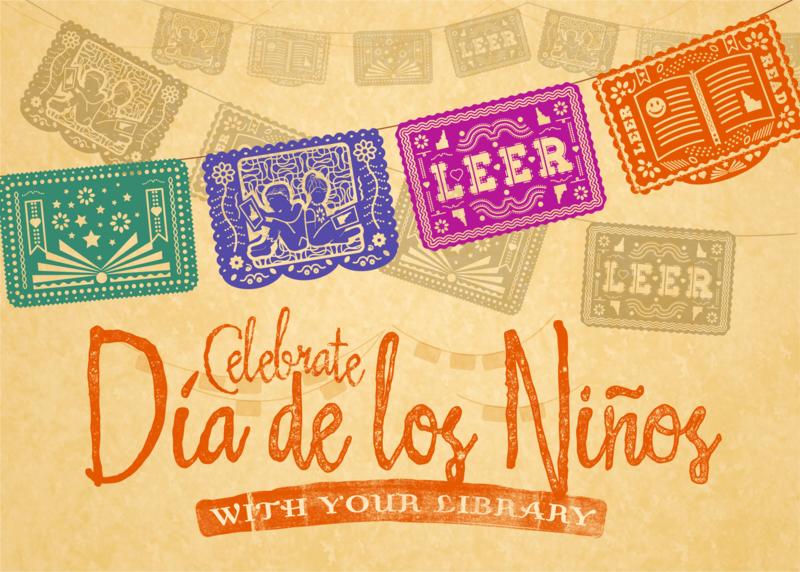 We’re utilizing our program funds to award 12 Idaho public and/or school libraries each a $400 micro-grant to implement a Día event in their community. Celebrate children, family and reading and connect them to the world of learning through books, stories and libraries. Reach underserved children and families who are English Language Learners (ELL) and ensure they have access to library resources and/or cards. Celebrate and honor a child’s home language, culture and heritage. Idaho public and school libraries may apply. Identify and work alongside at least one community partner to help promote, host and/or implement the program. Share early literacy information, the five early literacy skills, parent handouts at the event as well as take-home early literacy activities parents/caregivers can continue at home. Share library program information/resources and help families register for library cards if they do not have one already. Submit one family literacy activity that is low-cost and replicable for any library wishing to offer a Dia event/activity in the future and allow ICfL to post this activity ton the Dia web page. Submit a final program report to ICfL (by May 30th) including: summary of event/program hosted, name of partner/s and role, number of children and adults participating in event, and a replicable family literacy activity. Applicants will be notified of their grant status by: February 15, 2019. Grantees can anticipate receiving grant funds by approximately: March 1, 2019. One $400 micro-grant to each approved library. Use of the existing Dia program artwork/marketing materials. Use of the existing program ideas, related art lessons, recommended booklists, presenter/preformer ideas, and links to national resources on our website. Use of collected parent/caregiver handouts (in Spanish & Eng) on early literacy skills and the importance of daily family reading time. View additional program planning resources listed below. Note: Grant applicants who are not awarded funding as well as libraries who do not apply for the grant are welcome to utilize any of the Dia promotional materials and resources available on our website to offer a Dia event. Grantees are required to submit a final grant report by May 30, 2019. Please preview the grant report below to ensure you are tracking the required information. The grant report is formatted in Jotform. It is recommended that you compose all of your narrative answers in a Word or Google doc and then cut and paste into the Jotform when you are ready to submit. A new aspect of the grant report includes the submission of one family literacy activity that is low-cost and replicable for any library wishing to offer a Dia event/activity in the future as well as permission for ICfL to post this activity to the Dia web page. Colorin Colorado – provides resources for parents and teachers of English Language Learners.